We have received complaints about a few internet based scale companies conducting fraudulent transactions, posting incorrect or false information on their sites, or otherwise misleading consumers (on purpose or by accident). In order to help the scale buying community we have created this new section to post possible fraud or informational alerts. If you have been "scammed" by an online merchant in regards to weighing devices, Please send us an email to tell us about it along with any possible information, pictures or documentation. If applicable we will try to help you resolve your issue. Otherwise we will post all reasonable alerts in this section below BUT we will not post any frivolous complaints. Please keep all postings as short and concise as possible and send them to fraudalerts@digitalscales.com. 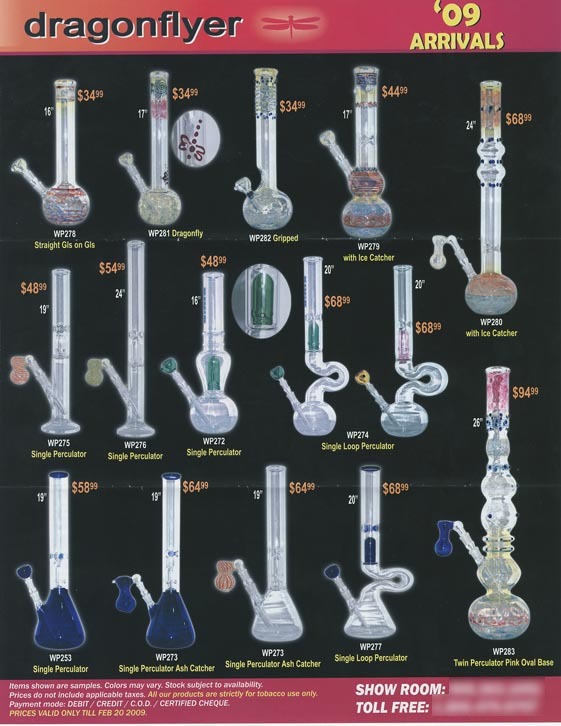 Gram Precision wants to be the "King of Bongs"
This one was sent to us by a surprised customer who received the attached mailing in a Gram Precision envelope. 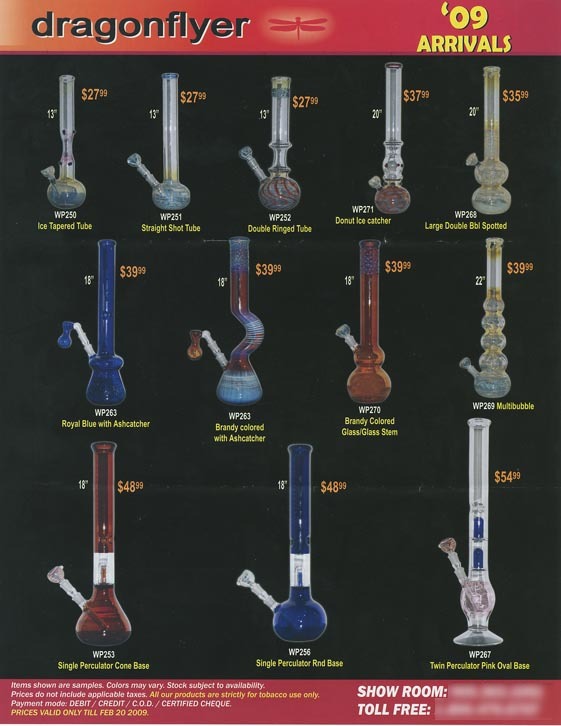 Gram Precision, which is partly owned by Mohan Thadani, has sent out this mailing advertising a very large assortment of glass pipes, bongs, and some other very interesting smoking ware. The weird part is how it was sent in a Gram Precision envelope emphasizing “Part of Your Solution”. I guess that depends on what solution you’re looking for! 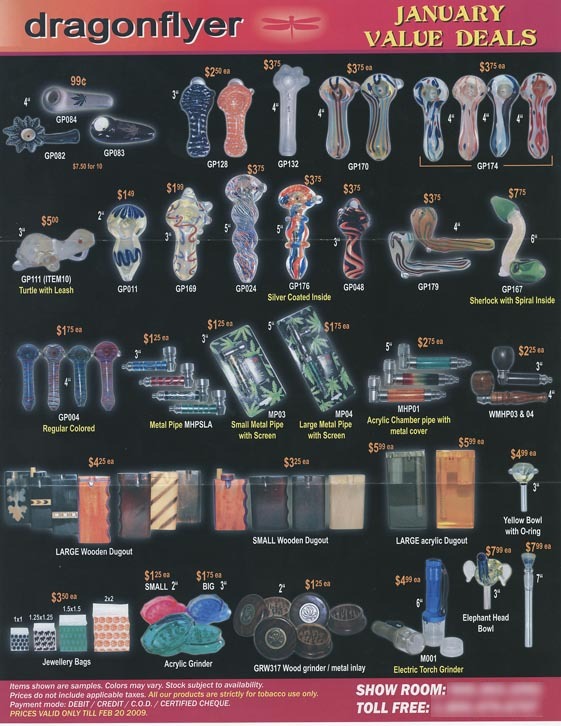 The “GP” item codes on some of the pipes make us wonder if those are Gram Precision pipes? That would be the first for any scale company to put their brand name onto a pipe. 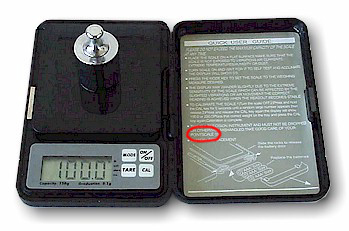 We have received notice from consumers that at least one digital scale importer has been selling scales in the USA with improper AC adaptors (CCC type, not UL-Listed). Some of these adaptors are easily identified because they use prongs (blades) that are missing the normal round holes that you would find on the blades of a proper UL approved AC plug. If you have received one of these illegal AC adaptors please DO NOT PLUG IT IN - you could cause a severe electrical fire. This is especially dangerous if the AC adaptor remains plugged into a socket for a long period of time - Normal random power fluctuations may cause a fire at any time, such as when you are sleeping. The Electrical Safety Foundation International (ESFI) has been working with legitimate companies and US Customs to try and stop these substandard adaptors from being sold. There have been many recent cases of fake UL Listed adaptors being seized and Underwriters Laboratories strongly recommends only purchasing adaptors from legitimate well-known companies to avoid this dangerous type of fraud. "While it is sometimes difficult to uncover counterfeit goods, some counterfeiters are sloppy in their work. Consumers should be cautious of products found at deep discount stores that are packaged in boxes that don't display the brand, product name or certification label on the box or the product itself. A good rule of thumb is if the price is too good to be true, then it probably is. Make sure to look for a reputable certification mark on the box and on the product that will help the odds against buying counterfeit products" Underwriters Laboratories Copyright 2008. Priority Alert: "Rite Weigh Digital" / Pocketscales.net / ""DigiTronics" We had so many complaints and issues relating to Rite Weigh Digital that we put them on a special alert page. Please click HERE for Rite Weigh Digital Alerts and information. Posted 8/8/04, Notification given by Tanita Corporation. Summary: Unscrupulous merchants both online and "brick and mortar" are selling fake Tanita products. These scales look identical to the Tanita 1479V. They have the Tanita name on the scale, on the box and on the manual. The easy way to tell the real and fake Tanita 1479V products apart is that the fake ones do not say "Made in Japan" on the bottom of each scale. 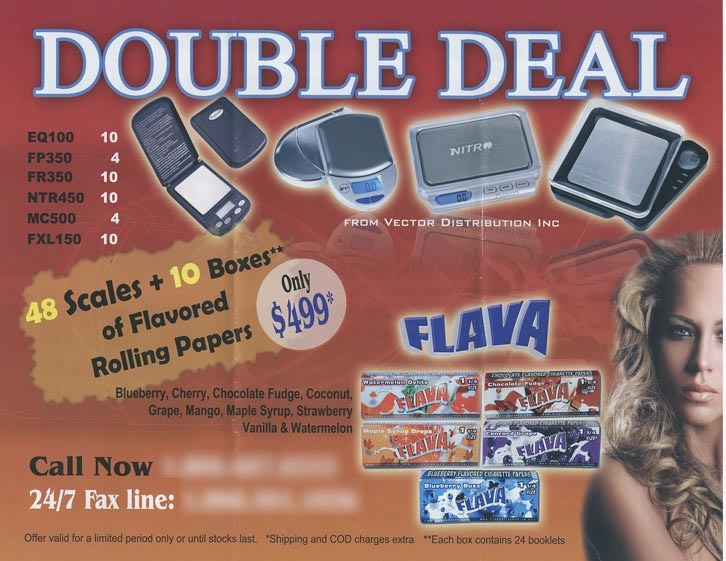 If you have purchased one of these fake scales please contact Tanita at 1-800-9-TANITA. Please be careful when purchasing scales on the internet, as you can see there are many "potholes in the road". This is why we recommend using a trusted merchant such as the ones that we have listed on our Online Merchants page. Notice the missing "made in Japan" on the fake Tanita 1479V. The fakes are very prevalent on EBay and Online. Note that the newest fake Tanita 1479's now say "made in Japan" on the scales and they even have copied Tanita's hologram on the box. The only way to know the difference between the real and the fake is to remove the cover. 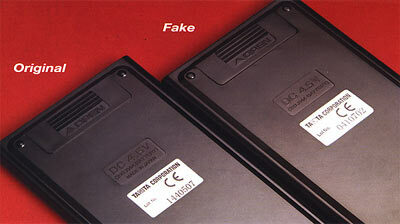 The fake Tanita scales use a small load cell while the real Tanita scales use a large metal plate system (Capacitance system). Summary: This is part of the Exacta Digital / Rite Weigh Digital related problems. Seller is on Ebay, collecting money from consumers but not sending the actual items ordered and paid for. Please view http://feedback.ebay.com/ws1/eBayISAPI.dll?ViewFeedback&userid=mjrmjr0 for examples. 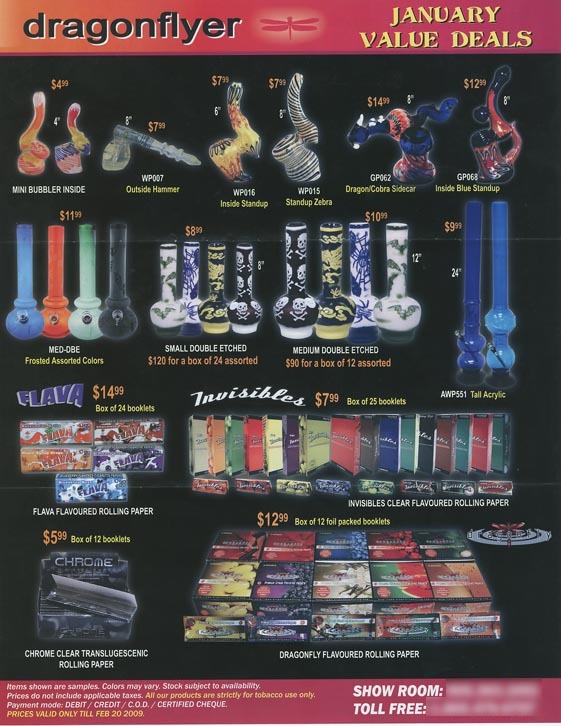 Attempted Resolution by Digital Scales.com Staff: There is nothing we can do other then to warn consumers to avoid these types of scale retailers. Please use due-diligence to avoid fraud. We suggest using the merchants we have reviewed or ones that have BBB (true BBB) registrations. Alert: "ITIN Scale Co / MINX"
Minx Enterprise: Exact physical copy of the Ohaus HH / Emerald. Minx Sidekick: Exact physical copy of the Gram Precision Pocket Tech / Old Pointscale 1.0 model. Itin goes so far as to fraudulently print POINTSCALE on the inside cover! Minx Backflip: This one is more interesting - in 2001 Barmes Wholesale imported a 'similar' scale to the Palmscale. They couldn't copy the Palmscale because of patent issues so they had this sort of similar scale made. The Minx Backflip is a copy of that copy. Attempted Resolution by Digital Scales.com Staff: We contacted Ohaus to inform them of Itin's product. They were shocked to say the least. We also notified the other various manufacturers. Quoted Summary: I bought a scale from this merchant and it arrived, worked for 3 days, then when I tried to contact them their site was down and their number was disconnected! Attempted Resolution by Digital Scales.com Staff: We were unable to find out any information on this merchant. They must have gone out of business (sorry). Quoted Summary: "On August 4th, 2003 our VISA was charged $77.60 by Exacta Digital for two electronic scales. We haven't received either, nor have they ever sent us an invoice, nor returned emails or explained what happened. Phone number listed (425)882-2333 is disconnected. Attempted Resolution by Digital Scales.com Staff: It is pointless to contact Exacta about these matters. See the below complaints and information. Quoted Summary: I needed a precision scale so I searched online and found a sweet price for one at exactadigital.com. I ordered what they called a "Global 500" which they said reads 500g x 0.01. What I received was totally different - it reads 500g x 0.1 !!! I immediately emailed them and waited 2 days but no reply, so I called them and got their answering machine. I called again a few hours later and again the next day and again later - still no answer and no reply. Now I'm totally SOL - thanks for the advice about contacting my credit card co but I paid via Paypal (they only take paypal). Paypal says that they only cover disputes regarding non-shipment not "merchandise quality issues". So I'm totally SOL and need to go and purchase an Ohaus Scout SP402 which I should have done in the first place. Anyway after reading your site I realized that Exacta also had those fake website seals. PLEASE HELP ME!!!!!!!!!!!!!!!!! We purchased a set of scales from eXacta Digital 1/21/03. We immediately had problems with the scales working. I have tried calling the company about every day and always get an answering machine. I did get through one time and a guy told me he could not help me that he would have someone call me back. I have yet to hear from them. Now every time I try to call the company, I get a message saying their mailbox is full. I have also emailed them with no response. They have a 30 day money back guarantee but you can not reach them within this time frame to get your money back, now we are stuck with defective scales. UPDATE ALERT: ExactaDigital & RiteWeighDigital are now seemingly out of business. Quoted Summary: I bought a scale from them and the wrong one arrived. This was back in March. I contacted them and I was told to send it back and they'd send a new one, they were nice on the phone and apologized a lot so I felt OK about it. So I sent it back but a new one never came! I've called them a bunch of times and keep getting their answering machine. They took down their website except for a page that says they'll be back online soon but it's dated April 25 and now it's like 6 months later!. Anyway please be warned about this guys! Quoted Summary: I bought a scale from them and it arrived broken. I had paid by postal order (I wish I had used my Visa so I could have disputed the charge). I called them and they told me to send it back to the manufacturer. I argued with them about this for a long time but they wouldn't do anything to help me. So I mailed it HMS back to the USA manufacturer, low and behold it came back to me 2 months later with "unable to forward, undeliverable" stamped on it. What kind of garbage is that? I contacted Dr Bongs AGAIN and they told me that Rite Weight must have moved (but they didn't know where!?) This is not fair. Attempted Resolution by Digital Scales.com Staff: We are aware of this problem, it's because the building where Rite Weight (Barmes Wholesale) was located has been seized by the DEA. We located a new address for them via their website and gave it to the consumer. NOTICE: The information above is posted with only minor research by our staff. If any false alerts or incorrect information is posted we ask that you contact us immediately to tell us of the problem. You can email us at corrections@digitalscales.com or / and please put up a post on our message board. Our goal is to only post correct information but it is very possible for us to make a mistake. We suggest that you verify any information on our own before making a decision.